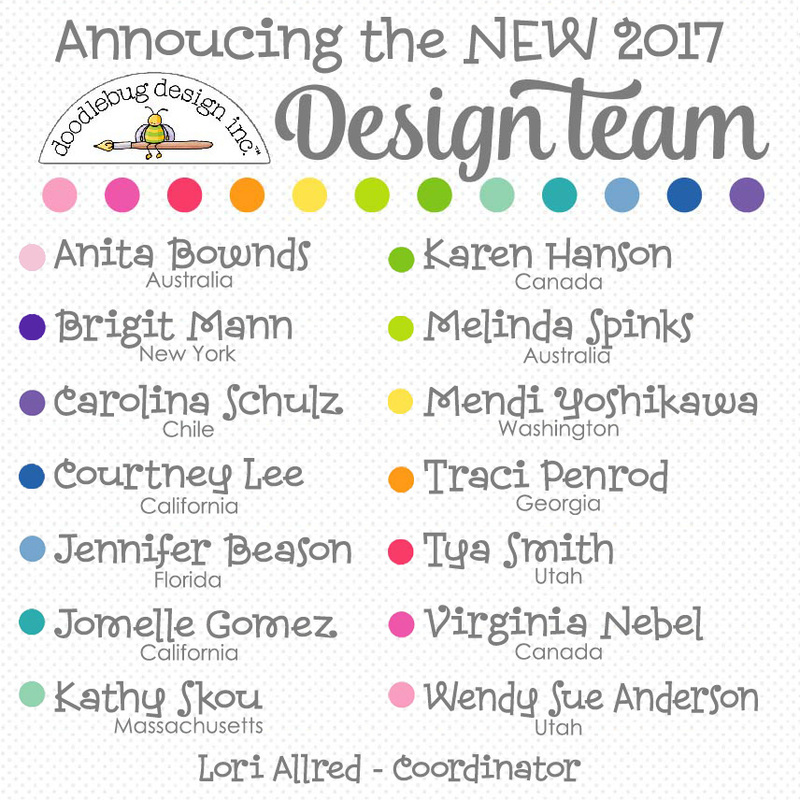 We are thrilled to announce our 2017 Design Team for Doodlebug Design! We had so many applications this year that it took us a bit longer to determine the the right team for us going forward. We always have a hard time saying goodbye to those team members we have grown to love as we've worked with them this past year. But please help me welcome our new 2017 Design Team. We plan to introduce you to these talented ladies before the end of December, but be watching as you start to see their projects appear starting in 2017. We also cannot miss the opportunity to THANK our 2016 Design Team. They have been ROCK STARS; our biggest fans and support; our inspiration and a huge part of what makes us Doodlebug Design. Congratulations to the new team! Looking forward to seeing what you all create. Congrats to the new team! This would be my dream position...maybe one day! ;) Very, very happy to see Karen's name on the list! WTG! Laura, you are too sweet! Thank-you - you can imagine how excited I am! Congrats to the new team🎊🎊🎉🎉🎆!!!! Congrats to the new team! Can't wait to see what you all create! Congrats! Can't wait to see all the talent! Congrats to all you lovely ladies!! Can't wait to fallow along and see your beautiful projects!! Congratulations, one of these years it may happen for me.